Disclaimer: This post in no way reflects the opinions of my husband or his employer. Yup, it’s one hundred percent me. So without further ado, here’s what I’ve learned from Google. Google is not a media company, and it doesn’t produce any content of its own. Its core idea is to filter and organize data in a way that makes it useful to the end-user (that’s you and me). Without a way to make sense of the huge masses of data, the internet would lose much of its practicality and all of its convenience. And when you think about, filtering is critical for communication in general. If you asked about my day and I gave you a minute-by-minute breakdown, you’d probably be so bored you’d miss anything important I chose to relay. 2. People will hate on you, and there’s nothing you can do about it. No matter what decisions Google makes, some people are unhappy about them. I don’t even work there, and I hear about it all the time. The bigger and more successful you are, the larger a target you become for other people’s judgment and rage. (Seriously. Random people rage at my husband all the time. It drives me crazy.) Just a reminder, I suppose, of the truism that you can never please everyone. 3. The power of data is nothing without the power of distribution. 4. People love the idea of free food. For a long time when people found out my husband worked for Google, they wanted to hear about the campus and the food. Had I eaten at Google myself? What did I think of the food? (Not much, as it turned out.) There was a near endless fascination by the idea that Google fed its employees for free. And in fact, until we moved in together, my husband barely had anything in his kitchen because he ate almost all his meals at work. 5. It’s possible to change the world, and you don’t even have to be Einstein to do it. Larry Page and Sergey Brin were two CS grad students when they founded Google. Now they are among the richest people in the world, and they have had a deep impact on the way we all experience that world. Plus they continue to use their resources to investigate other potential changes in the future, like self-driving cars. You can never be sure how much power the right idea at the right time will have. 6. A catchy motto can come back to haunt you. “Don’t be evil.” I’m sure it sounded good at the time, but now it gives people yet another reason to be asinine while complaining. If I read one more “clever” twist of this motto, in which people are for some reason shocked to discover that Google is in fact a corporation and not some shiny Kumbaya fest, I’m going to have to go hide in an isolation chamber. I wrote this post on Google Docs, I’ll get notified of any comments through Gmail, I’ll promote this content on Google+, and I looked up the correct spelling of Kumbaya on Google Search. Whatever your opinion of Google (and I certainly don’t agree with everything they’ve ever done either), the company impacts my life on a day-to-day basis. So the last thing I’ve learned from Google is the incredible value of easy access to data. Remember the days of encyclopedia sets that never told you everything you wanted to know, so you’d just be left wondering? I, for one, am glad those days are behind us. For quite a few years, search was my life at work. I love your description of search as filtering, because it’s true. There’s so much to be learned and gleaned not only from results, but from an analysis of where the results came from. I think years of listening to Yony talk about search has rubbed off on me. But yes, I find that all fascinating. I agree about the hate thing. I would add that when you’re big, you get actual criticism as well. Then, the challenge becomes the filtering of the actual criticism from the hate, fud and dumb. 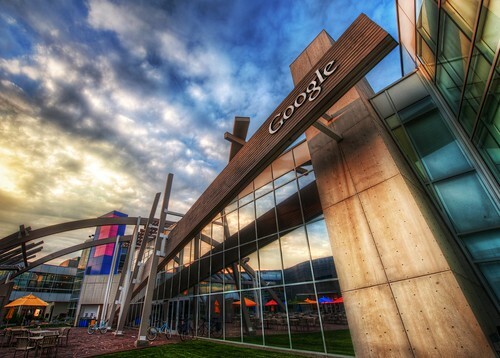 Everyone tends to project on to institutions like google, both their idealism and their fears. I’m quite sad to discover google is a corporation. I was really hoping to get invited to a Kumbaya fest sometime. Next you’re going to tell me they even pay for lobbyists and lawyers. Google takes a lot of crap for “Don’t be evil.” But I love it. Some people knock Whole Foods for some of the similar reasons. Both are corporations and neither is a perfect reflection of their founders ideals. But both differentiate themselves because of their culture and their mottoes. If either threw those away, they wouldn’t be the companies they are and their value proposition would disappear. I don’t want Google to be a Yahoo or a Sony. Just like I don’t want Whole Foods to be Kroger. “Don’t be evil” makes google a corporation I’m willing to do business with. I’ll still criticize them, because I want them to stay who they are and not fall into the trap of destroying their long term value proposition chasing short term profits. I love your point about striving for an ideal. You are completely right, of course. It’s why I love Google even when they do something that I don’t like. The culture & motto really does make a huge difference to the company’s identity and to the experience of working there. What Jason said. And I hate to be just a ‘I agree!’ poster, but, well, I agree!